There are currently 10 Ocean State Job Lot locations in New Hampshire. Discount retailer Ocean State Job Lot has purchased six former Toys R Us locations and agreed to a long-term lease at a seventh in New York, New Hampshire, Massachusetts, and Pennsylvania. The three Pennsylvania locations in Montgomeryville, Scranton and Wilkes-Barre, mark the North Kingstown, Rhode Island-based retailer's first foray into the state. 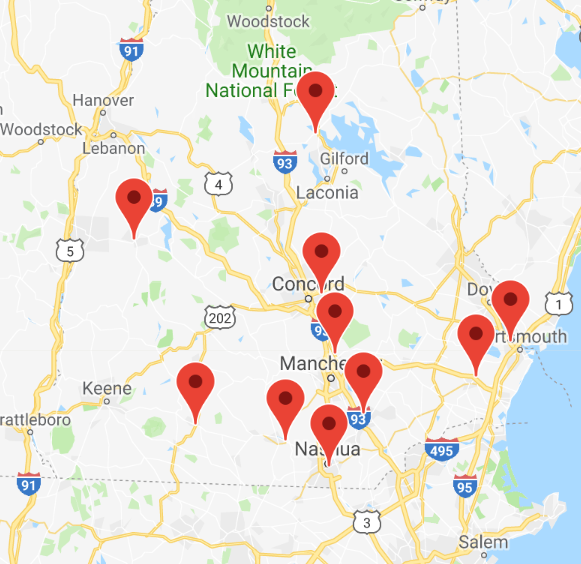 The other locations are in Brockton and Dartmouth, Massachusetts; Salem, New Hampshire; and Nanuet, New York. Ocean State Job Lot currently has 10 locations in New Hampshire (see map above). Ocean State Job Lot, founded in 1977, is a privately held retailer with 133 stores in New England, New York, and New Jersey with annual sales exceeding $675 million. Chief Executive Officer Marc Perlman says the new locations were acquired at "an extraordinary price." The ACLU of New Hampshire and the Union Leader Corporation have filed a right-to-know lawsuit against the town of Salem.